Search Results for "servers room"
Dark Servers Room. Glassy-Metallic Server Racks. Wall of Servers. Dark Server Room 3D Generated Illustration. Hosting Related Theme. Cloud computing, data storage concept. Data servers room. Working Servers. Server room cabinet. Nonconformist Teenage Hacker Girl with Pink Hair Attacks Corporate Servers with Virus. Room is Dark, Neon and Has Many Displays. Shot on RED EPIC-W 8K Helium Cinema Camera. Nonconformist Teenage Hacker Girl Attacks Corporate Servers with Virus. Room is Dark, Neon and Has Many Displays and Cables. Shot on RED EPIC-W 8K Helium Cinema Camera. Nonconformist Teenage Hacker Girl Attacks Corporate Servers with malware. Room is Dark, Neon and Has Many Displays. Shot on RED EPIC-W 8K Helium Cinema Camera. Two Technical Engineers at Sitting at Their Workplaces With Multiple Displays. 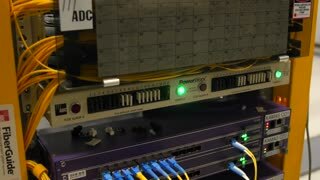 They're in Monitoring Room with Servers. Shot on RED EPIC-W 8K Helium Cinema Camera. Nonconformist Teenage Hacker Girl with Pink Hair Attacks Corporate Servers with Her Team. Room is Dark, Neon and Has Many Displays. Shot on RED EPIC-W 8K Helium Cinema Camera. Dark server room. 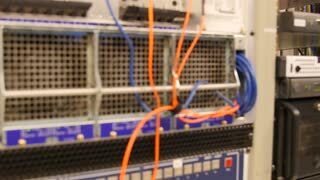 Network servers in a data center. Servers racks in dark room. Modern datacenter. Cloud computing concept. Modern datacenter. Cloud computing concept. 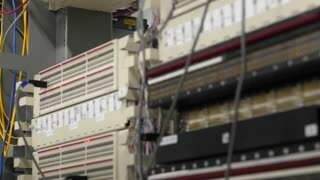 Servers racks in data center room. Room Full Of Servers Racks with GPU for bitcoin mining. Modern working server room with rack servers. Cloud computing in datacenter, information storage. Server error with red indicators.